Die Struck Economy Medals feature exceptional medallion quality at an economical price. Features iron base material with your choice of metal finishes to designate championship or award levels. * Exceptional quality at budget prices. 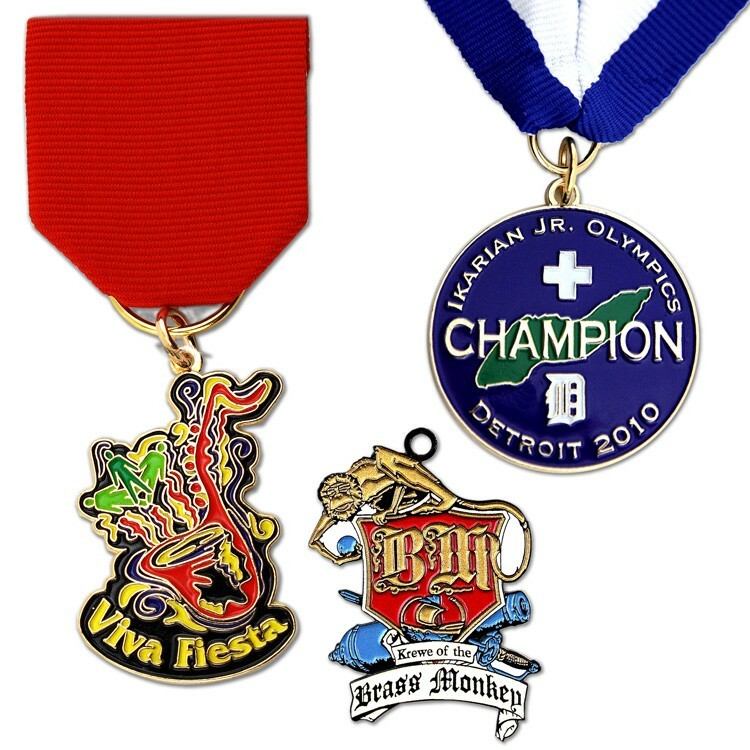 * Lower cost iron base material with the same die struck detailing as our brass medals. * Choice of bright gold tone, nickel or black nickel finishes included. Other finishes available. * Includes loop and jump ring top for ribbon attachment. * Includes up to 4 soft enamel colors with FREE PMS color match. * Custom Medal and medallion emblems are available in sizes up to 4", with thicknesses up to 1/4". Many attachments options; keytag rings and fobs, ribbons and ribbon drapes, call for information.